I really wish SMWCentral just gets hacked. 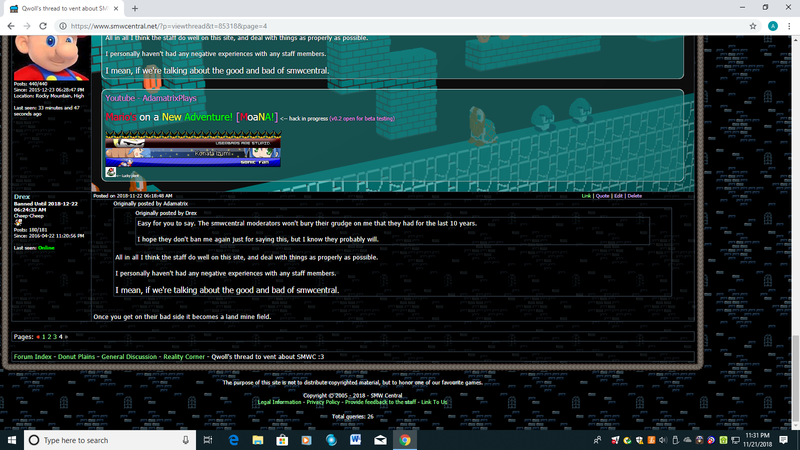 I wish there was a SNES homebrew website that was 100 times as popular as SMWCentral, and didn't have moderators who think they're all powerful dictators. Uh, why are you complaining about SMWCentral here? We don't have any control there. Please refrain from dragging offsite disputes to MFGG. To perhaps put it blunty, we really just do not care. We also can't do anything about it. I know you don't care and can't do anything about it. It's just that smwcentral has damaged my reputation across the internet. Be that as it may, a topic like this really isn't going to help. I'm just gonna lock this.